A note to rice connoisseurs: Arz Fine Foods, 1909 Lawrence Avenue East, will be getting in its new shipment of basmati next Tuesday or Wednesday. Not all the rice is created equal, it turns out: Armand Boyadjian, co-owner of Arz, says he travels to India annually to meet the rice merchants in Delhi and select his supply. “I buy three-year-old basmati,” he says. “Long grain, nothing broken inside.” His boxcar container of rice travels by ship to Montreal then will jump a train to Toronto. Arz opened 20 years ago near here, expended 10 years ago and today is the Pusateri’s of Middle Eastern food, with a huge assortment of nuts and a bakery selling pita, cakes, cookies, savoury pie and three kind of baklava: pistachio, walnut and cashew. As Toronto’s Lebanese prosper, they are leaving this area, too. “Five, seven years ago it was all Arab,” Mr. Boyadjian says. He is now planning two more branches of Arz (Arz is the Arab word for cedar on the nation’s flag), following his customers to Mississauga and Richmond Hill, where his own family now lives. 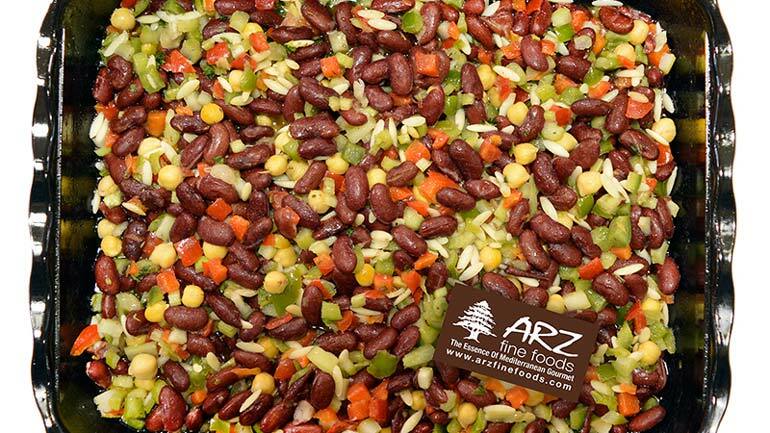 Half of Arz customers are non-Arabs, drawn to its treats. Ali Ghaem, a taxi driver originally from Iran, came in to Arz while I was there and ordered a simple feast: a bowl of fava beans, a whole wheat pita and a plate of lemon slices, mint springs, raw onion and fresh tomatoes. The cafe in Arz has no menu; I was fortunate for his friendship. I ordered the same. We drizzled fine olive oil and lemon juice on the beans and ate them between bites of mint. “It’s a real food, nutrition and very cheap,” Mr. Ghaem says. With a half-litre of fresh carrot juice, my bill was $10.